Teresa Tillson stopped by my corner office at GBM last week to promote the start of reading group at the Northfield Buddhist Meditation Center. The first gathering is tonight, Thursday, March 29, 7:30 pm. Here’s the press release, with my images and links added. Compassion sounds like a good idea, but it’s such a lot of work! How can a person cultivate and expand the capacity for compassion? Do some practices of compassion cross all religious, ideological, and national traditions from Jainists to Atheists and from Tibet to Timbuktu? The Northfield Buddhists are hosting a conversation sparked by a provocative thinker on the role of religion in the modern world, the former Catholic nun, author, and “free-lance monotheist”, Karen Armstrong. 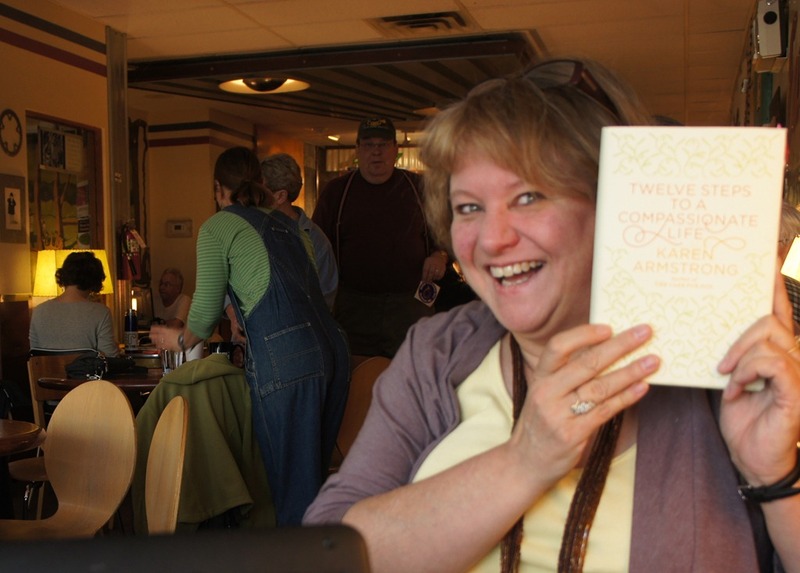 Armstrong’s book Twelve Steps to a Compassionate Life will anchor a conversation about the practices of compassion common to all religious and cultural traditions. The series begins on Thursday, March 29, 7:30, at the Northfield Buddhist Mediation Center, and continues on the last Thursday of each month at least through August. Books are available for purchase at Monkey See Monkey Read in Northfield. 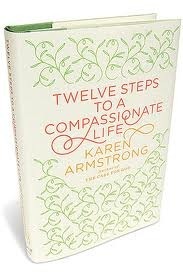 In Twelve Steps to a Compassionate Life, Armstrong provides an impassioned and practical guide to putting the ideals of compassion into practice. She suggests tools to improve the way we treat each other, the way we treat ourselves, and offers concrete examples and exercises for cultivating daily compassion. Starting with “learning about compassion” and continuing through “love your enemies”, Armstrong leads readers through a discussion of self-love, mindfulness, suffering, sympathetic joy, the limits of our knowledge of others, and concern for everybody. 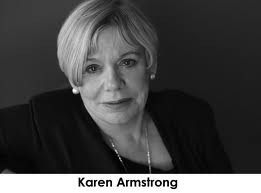 As the winner of the 2008 TED prize, Karen Armstrong wished for help in creating, launching and propagating the Charter for Compassion. The TED Prize is designed to leverage the TED Community’s exceptional array of talent and resources. It is awarded annually to one exceptional individual who receives $100,000 and, much more important, the granting of “One Wish to Change the World.” The Twelve Steps to a Compassionate Life and the Charter for Compassion are the result of Armstrong’s wish. 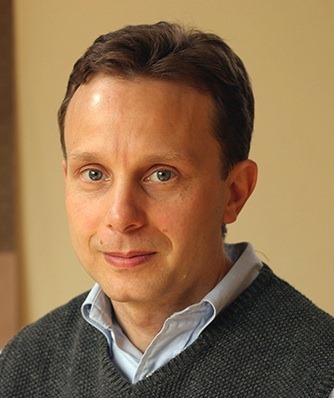 “The Northfield Buddhists are thrilled to be part of this international movement to change the conversation so that compassion becomes a key word in public and private discourse. Any ideology that breeds hatred or contempt has failed the test of our time. Together we are summoned to creative, practical and sustained action to meet the political, moral, religious, social and cultural problems of our time,” says Sam Demas, one of the book study organizers. The Northfield Buddhist Meditation Center is located at 313 ½ Division St., (second floor, above Jenkins Jewelers) Northfield, MN. In the spirit of compassion, all who seek to practice compassion are sincerely invited to join the conversation. When she’s not fiddling around, teaching Oles, or bothering me at my corner office at GBM, Andrea Een volunteers at the Northfield Buddhist Meditation Center. 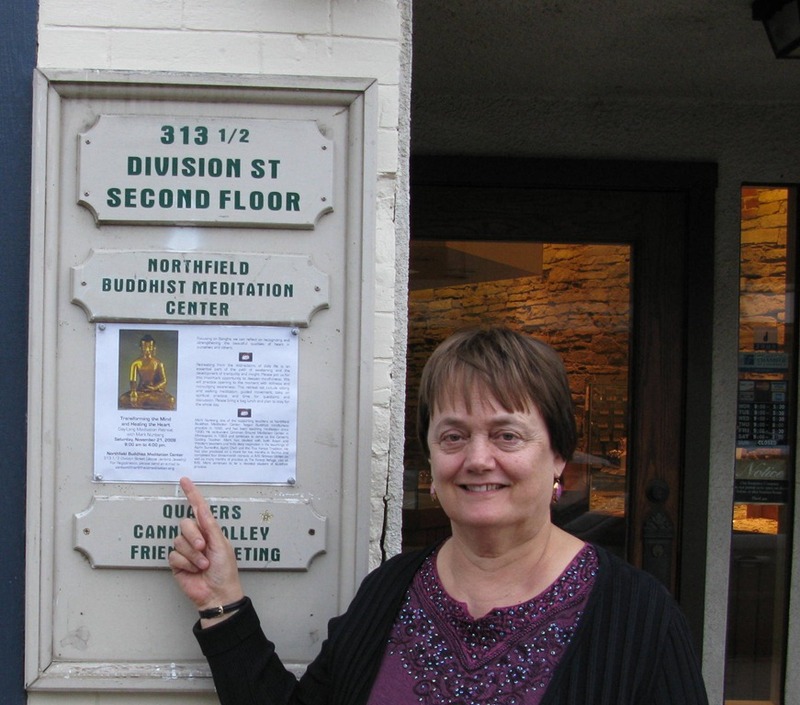 Today, she was promoting tomorrow’s all-day mindfulness meditation retreat at the Center (above Jenkins Jewelers in downtown Northfield) featuring Mark Nunberg titled Transforming the Mind & Healing the Heart (blog post).